Maria matriculated at the Sacre Coeur School in Buenos Aires. After school Maria moved to South Africa where she obtained a BA degree in Higher Education, majoring in English and Fine Arts at the University of Stellenbosch. Her native tongue was her passion and she obtained a National Certificate in teaching Spanish to Foreigners (TSFL) in 1981. 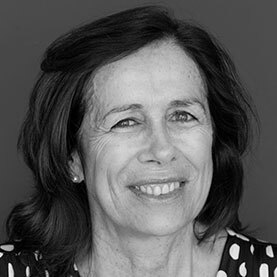 Maria has since been teaching Spanish at various prestigious International schools including the University of South Africa (35 years) and is described, in the inner circle of Spanish teachers, as one of the best in the business! Maria is also an experienced and qualified translator and interpreter.